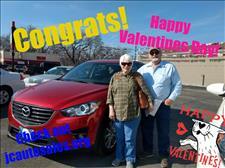 JC Auto Sales would like to say congrats to the Hartmans. 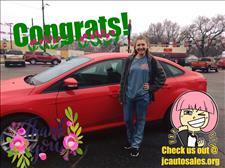 Who bought a very nice 2015 Race Red Ford Focus. We thank you and also encourage others to make your next purchase at the oldest car lot in Junction City, KS. Click and apply atwww.jcautosales.org. 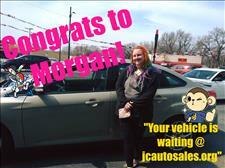 Check out Morgan with her new 2015 Ford Focus. She enjoyed her experience so much the 1st time she had to come back!!!! JC Auto Sales would like to say THANK YOU for coming back. We would like to say CONGRATS! on your new purchase. I see you purchase a nice 2004 Mazda 6 at JC Auto Sales. JC Auto Sales would like to say, "Thank You". We do appreciate Alicia's business. See the wide selection of prices and vehicles JC Auto Sales. Make your next purchase with us. 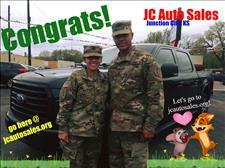 Click here to see what we do have for you,www.jcautosales.org. We just got our car from here and we had a great experience. Super friendly service he was patient and cared about what we wanted. It was my first time ever dealing with a car salesman and I was beyond impressed. We got a great deal! I am totally amazed! 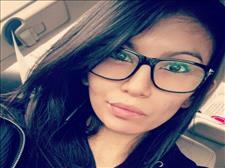 I never expected the treatment and service that my daughter received when purchasing a vehicle at JC Auto Sales. Scisco and Mike were absolutely great from start to finish! It's really hard to find great customer service and we found it here! I highly recommend! You couldn't ask for a better place and people to do business with! Kudos to all of you at JC Auto Sales! Congrats to John and his lovely wife. They purchased a very slick 2016 Chevy Malibu Limited. JC Auto Sales would like to say, "Thank You". A purchase was made at JC Auto Sales! Congrats to Ms. Mitchell on her new 2017 Jeep Renegade Trail Hawk! 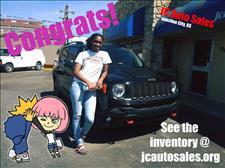 JC Auto Sales would like to thank you for your business and the opportunity to work for you. 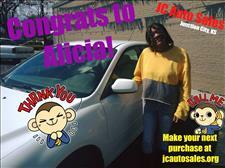 Another purchase was made at JC Auto Sales! 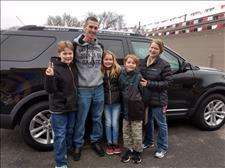 We would like to say, Congrats to the Dross Family! With there is their new addition, a 2015 F-150 SuperCrew XLT Sport. 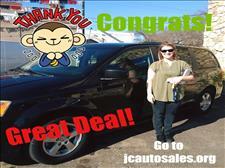 We would like to say thank you for choosing JC Auto Sales to do your business.